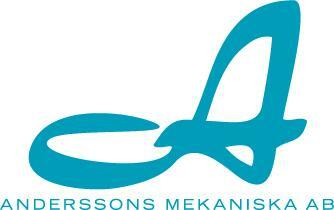 Andersson’s Mekaniska AB invests in laser! The company has invested in a pipe laser and a metal laser that makes us a complete partner. - Previously, we only used external suppliers for these services. However, in that we now can do everything in the house, we are both a quick and flexible partner for our customers. Andersson Mekaniska AB aims to become a complete subcontractor. From left, Emil Kronholm, Thomas Andersson and Göran Kronholm. Göran Kronholm, CEO Andersson’s Mekaniska AB in Skillingaryd says. We are a family business dating back to the 1960’s, which has extensive experience as a supplier within subcontracting and the furniture industries. Previously, tube bending, drilling and welding were their specialities, but now one can also add laser pipe cutting and laser metal cutting to their list of specialties. The two new machines were installed this past summer and are already in full production. The pipe laser is a Adige LT712, capable of pipe dimensions from Ø12 or 12x12 up to Ø152 or 120x120. 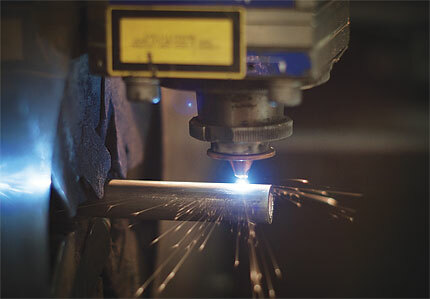 - The advantage of the pipe laser is that we can make complex shapes with no tooling costs. We laser cut instead of customers having to buy expensive tools to get the same end result, says Emil Kronholm, technical manager. Andersson Mekaniska AB has invested in a new pipe laser and a metal laser. Magnus Ekfeldt is responsible for programming and optimization of the metal laser. Andersson’s Mekaniska pipe laser can process up to eight meter long pipes, which is unique. 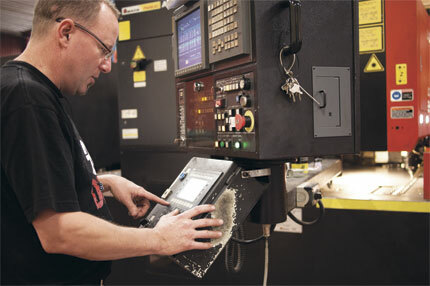 - We can use the laser for our existing products, but we can also offer our customers more choices. We are a complete subcontractor resulting in short lead times, delivering complete products, at the component level, says Emil Kronholm. The Amada LC Alfa metal laser can handle thicknesses of up to 12 millimeters. The laser is also integrated with an automatic on and off switch for more efficient operation. 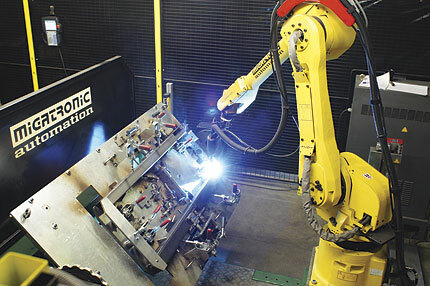 Another novelty of Andersson’s is a robotic welder for CMT welding. 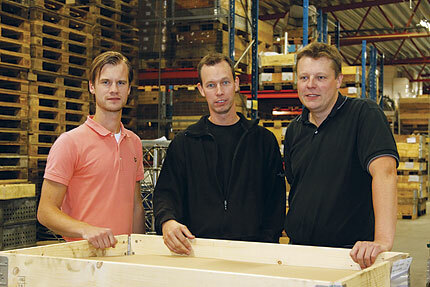 Andersson’s Mekaniska has invested heavily in recent years. In addition we have invested in a pipe bender, a robot cell for CMT welding and have extended our facilities by 1350 m2. - Purchases of the pipe and sheet metal lasers are our latest effort in the long-term strategy to become a full partner in piping and sheet metal. With this we intend to strengthen our competitiveness and increase our service levels, says Göran Kronholm. all the processes are in-house. The new pipe laser can process up to eight meter long tubes. Andersson’s Mekaniska can now offer pipe laser cutting, laser cutting of sheet metal, pipe bending, bending, welding, multi-task machining, assembly, packaging and prototyping. Text: Malin Ivarsson. Photo: Malin Ivarsson & Anderssons Mekaniska AB.